Clearing Day is an annual process in the United Kingdom that affects rejected university applicants. It helps universities grow their enrollment by offering empty course seats to these individuals. The university’s goal of launching a chat experience was to reduce its high call volume on Clearing Day. 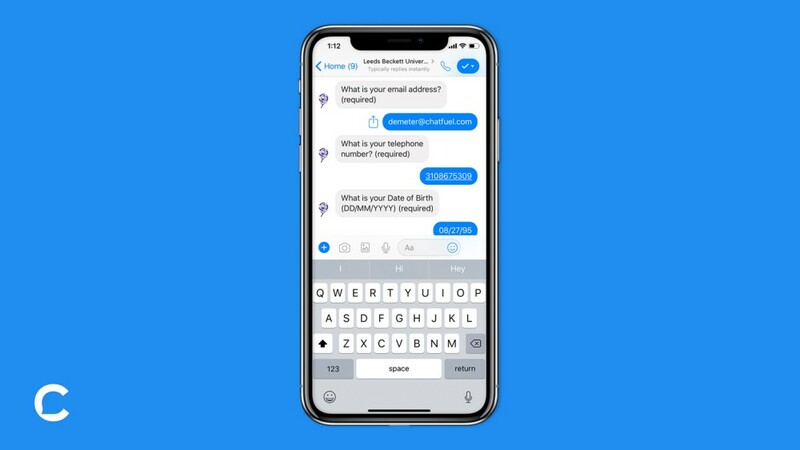 This would help Leeds Beckett automate the clearing process, which is normally conducted over the phone. 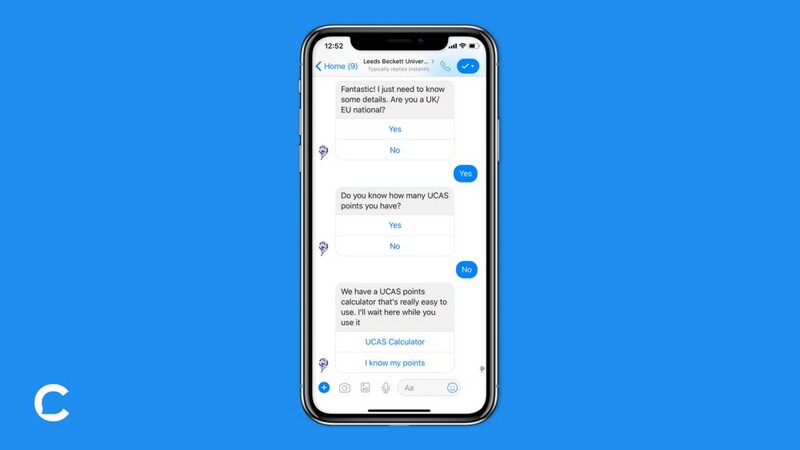 Becky (the bot’s persona) guides users through the clearing process and makes a course offer in real-time based on qualifying questions. “How many UCAS points do you have?” and “What subject are you interested in?” are a few questions that Becky will ask users. Individuals who qualify can accept the university’s offer directly within Messenger. Now the admissions staff can spend their time finalizing the offer and paperwork instead of manually qualifying hundreds of applicants. No human resources are wasted on those who do not meet the requirements. 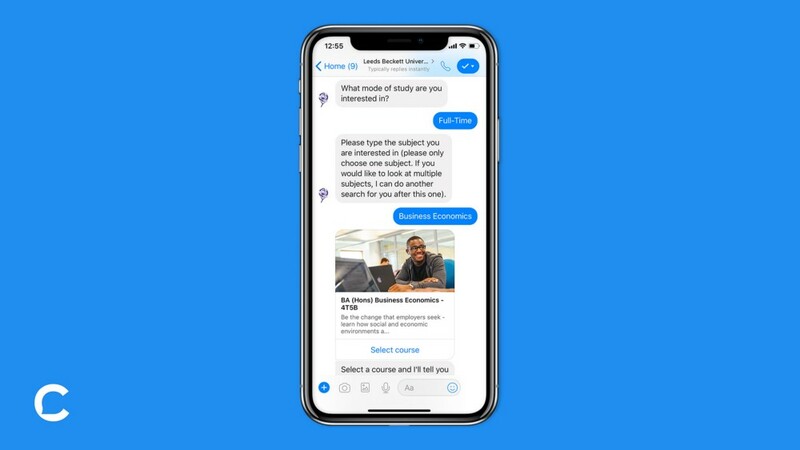 Leeds Beckett generated $3.1 million in new enrollments from the 1-day chatbot campaign. Promotion was entirely organic. 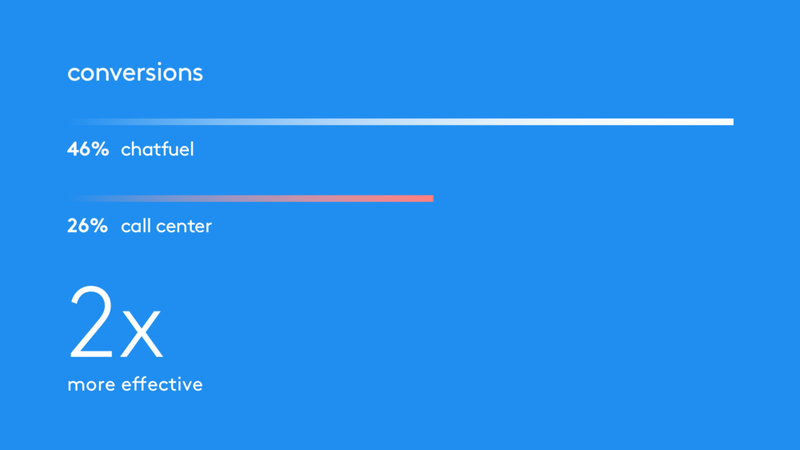 89 of the 191 students who completed the clearing process accepted the offer, resulting in a 46% conversion rate on Messenger. Compared to phone support, Leeds Beckett nearly doubled their conversion rate using Chatfuel. So, what are you waiting for? 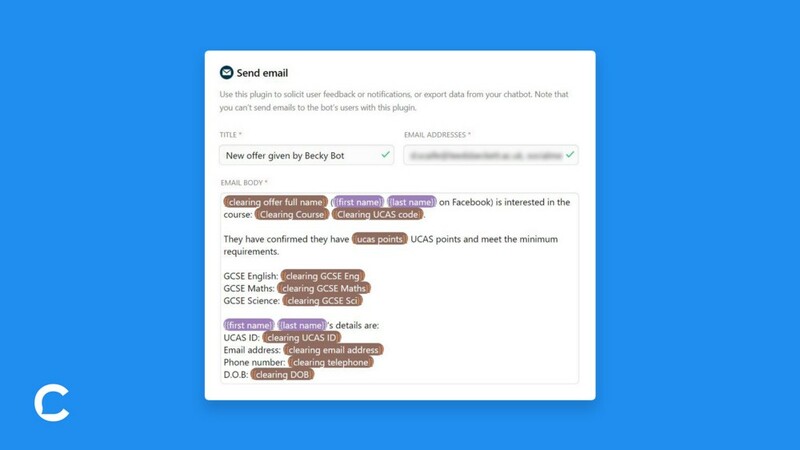 Click here to start building your bot and getting results like Leeds Beckett University!